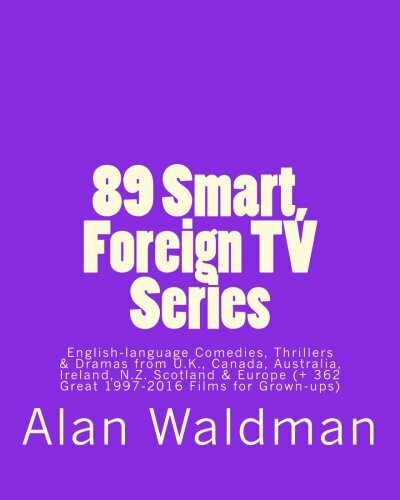 89 Smart, Foreign TV Series: English-language Comedies, Thrillers and Dramas from Britain, Canada, Australia, Ireland, New Zealand, Scotland and Europe (plus 362 Great 1997-2016 Movies for Grown-ups) by CreateSpace Independent Publishing Platform at Translate This Website. Hurry! Limited time offer. Offer valid only while supplies last. 89 Smart British, Canadian, Australian, Irish, Scottish, New Zealand and European, English-language TV series, with free online links to episodes.